Dr. Donald W. Ayres brings more than 25 years experience in both inpatient and outpatient neurological care to the North Pinellas community. We are very excited to have Dr. Ayres join the Florida Hospital North Pinellas Physician Group. He brings over two and a half decades of experience in the field of Neurology...and he will have an immediate and positive impact on the lives of patients. Florida Hospital Physician Group is pleased to announce the addition of Donald W. Ayres, MD to the Florida Hospital North Pinellas Physician Group. Dr. Donald Ayres is a highly experienced Neurologist who is Board Certified in Neurology, Neuroimaging, Neurophysiology and Sleep Medicine. 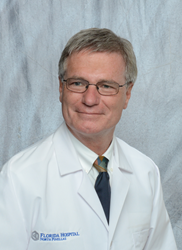 Dr. Ayres has over 25 years experience in both inpatient and outpatient neurological care and he is a native of Tampa Bay. He graduated from Dunedin High School before earning a Bachelor of Science in Chemistry from Emory University in Atlanta, Georgia. He then earned his medical degree from the University of Florida College of Medicine in Gainesville before completing his internship in Internal Medicine, residency in Neurology and fellowship in Neuroimmunology at Dartmouth- Hitchcock Medical Center in Hanover, New Hampshire. Dr. Ayres specialties include Multiple Sclerosis, Epilepsy, Clinical Neurophysiology, Carpal Tunnel Syndrome, Headache Disorders and Sleep Medicine. Dr. Ayres is excited to bring his expertise and passion for providing excellent patient care to the North Pinellas community. Florida Hospital Physician Group physicians and staff focus on compassionate, whole-person care with extensive knowledge and expertise to diagnose and treat medical conditions with a patient-focused approach. “We are very excited to have Dr. Ayres join the Florida Hospital North Pinellas Physician Group. He brings over two and a half decades of experience in the field of Neurology and he will have an immediate and positive impact on the lives of patients throughout the North Pinellas community,” shared Chris Jenkins, President of Florida Hospital Physician Group. Dr. Ayres is located at 4140 Woodlands Parkway, Palm Harbor, FL 34685 and he is currently accepting new patients. For more information, or to schedule an appointment, please call (727) 953-9041 or visit http://www.FHPhysicianGroup.com. Florida Hospital Physician Group (FHPG) is a multi-specialty physician group, dedicated to improving the health and wellness of communities throughout the greater Tampa Bay region with more than 130 providers operating in over 40 locations representing over 25 medical specialties. FHPG offers patients the highest level of compassionate and multidisciplinary care through a broad range of medical and surgical services, as well as direct access to five local Florida Hospitals, a Long Term Acute Care facility, imaging centers, specialty and urgent care centers, rehabilitation facilities and home care agencies located throughout Hillsborough, Pasco and Pinellas counties. Part of the Adventist Health System, Florida Hospital is a leading health network comprised of 22 hospitals throughout the state. For more information, visit http://www.FHPhysicianGroup.com. Florida Hospital North Pinellas, located in Tarpon Springs, is a 168-bed, full-service hospital specializing in cardiovascular medicine, emergency medicine, orthopedics, wound healing, sleep medicine and general surgery including minimally invasive and robotic-assisted procedures. Florida Hospital North Pinellas has been nationally recognized by the American Heart Association, the American Stroke Association, The Joint Commission, and The Leapfrog Group, for excellence in providing quality patient care. Florida Hospital North Pinellas serves both the Pinellas and Pasco communities of West Central Florida. Part of the Adventist Health System, Florida Hospital is a leading health network comprised of 22 hospitals throughout the state. For more information, visit http://www.FHNorthPinellas.com.